After many months, my first book, A Long Ride Home, has launched on Amazon. The book is based on a story I used to tell when I was a summer camp director at Shepherd’s Fold Ranch. 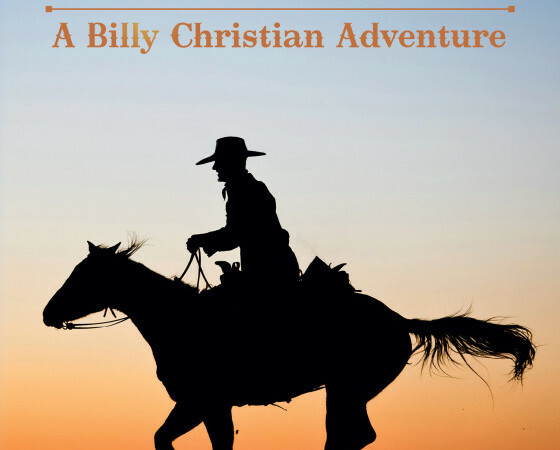 It’s the story of Billy Christian and his journey into manhood with the guidance of his grandfather and his uncle Son. There are adventures and good guys and bad guys and cowboys and Indians…all the stuff that young kids love to read about. I’ve decided to post the preface here to give you a sense of the book. I am doing readings of the book in selected spots over the next few months. If you’re interested in having me come and do a reading to your group, just contact me here. The desert darkness was complete. Other than the pinpricks coming from a billion stars, the only light was the small campfire sheltered against the wind at the edge of a grove of scrub pines and cedars. The light from the fire lit the cowboy’s weathered face. He wasn’t that old but the strain of the last two and a half years shone on his face. He was tired. He was lonely. He’d done some great work. He’d been surrounded by good people on his journey. But he missed his family. He missed home. As great as good people can be they aren’t family. The cowboy needed that closeness. He needed to be known, to be around those who got him. It was time to head back. His horse, tied to a picket line between two old cedars, lowed deeply. The horse was a magnificent animal given to him by his father when his work first began. The horse was headstrong and the relationship was rocky at first with several fits and starts. But now the two moved and often thought as one. The horse seemed to know and anticipate what the cowboy wanted to do. And the cowboy couldn’t imagine going a day without his horse, the closest thing he had to family out on this vast desert plain. He took a deep breath and stoked the campfire with a crooked stick. Sparks rose up into the night sky as warmth from the hot red coals washed over him. He turned his collar up against the chill of the desert night. Just one more day on the trail and then…Home. He knew the way by heart. Heck, his horse knew the way. He could drop the reins, tie himself in the saddle and go to sleep and the horse would find the way home. But the cowboy couldn’t resist another look. He reached inside his coat to the left breast pocket of his white shirt and pulled out a small book. The book fit easily in the palm of his hand. Its edges were frayed and its pages yellowed—the ink on them faded. This book, this treasure, was the record of the work he’d done over the last two and a half years. Names, places, stories, rough drawings were all contained on the pages of this small journal. He put his finger on the scarlet thread that held his place and the book practically fell open to a certain page near the front. The cowboy angled it toward the campfire where he could get the most light and began to read. He smiled. A couple of years ago he’d taken the time to write about Home. Not only did he describe the buildings and the people, he wrote about the land and the landmarks he’d need to look for on his way. He’d drawn a crude map detailing the lay of the land and the way back home. Looking over these pages now caused a big smile to cross his face, not that you could see it…hidden by his giant mustaches. He closed the book tightly on the scarlet ribbon and placed it back in his pocket. He threw the last cedar branch from the pile on the small fire and scooted down to lay his head on his saddle. He covered himself with his duster and put his wide brimmed hat over his face. Tomorrow the trail would lead him back to his home and family. To order now, click here. After reading, I’d love it if you’d log back into Amazon and leave a review of the book!